A Scottish theologian said Harry Potter should be seen as a "Christ-like" figure, rather than condemned by religious commentators, because the boy wizard promotes Christian values. 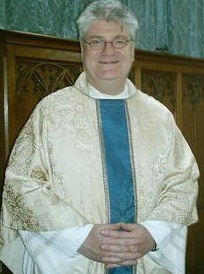 The Reverend Stephen Holmes, acting head of divinity at St Andrews University in Scotland, said the Harry Potter books contained an obvious Christian narrative - although author J.K. Rowling has said her books contain no religious agenda, according to a report by the Telegraph in the Sydney Morning Herald. The Biblical inspiration was most apparent in the final book, Harry Potter And The Deathly Hallows - the film of which will be released next month - when Harry confronts his arch enemy for the final time. ''What happens gives the strong impression that Harry dies, discovers an afterlife in a place called King's Cross - a striking reference from a Christian perspective, and comes back to life.